As we’re wrapping up our holiday adventures here in downtown Chaska, we decided to stop into Carver Junk Company’s Chaska location. They had gifts galore, vintage and vintage-inspired decor, and a great collection of furniture to boot! 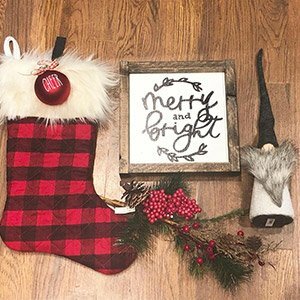 From great signs for the house to holiday ornaments, pillowcases, casual clothing, handmade gifts, and more, Carver Junk has unique items for everyone on your list. Teacher gifts? Check. Something for your bestie? Check. A gift for a client? Check. And, if you feel like a little holiday DIY, check out one of their workshops and get introduced to chalk painting, calligraphy, stenciling, pallet art, and more! Carver Junk Company is open every Thursday – Saturday 10 am – 6 pm, and Sunday 10 am – 4 pm. Join them as you shop local this holiday season… you’ll love them. We did! Our last stop on our holiday adventure was to Michael’s Cycles, Chaska’s own hometown bike shop. With vivid memories of the year I got a new bike for Christmas, exploring this store was a great reminder of how much biking has impacted my own life. When asked what three words they would use to describe the shop, the staff answered with this, “Fun, fun, fun.” Then, with a smile, they added the words family and friendly. All of these words were fitting of our experience there. 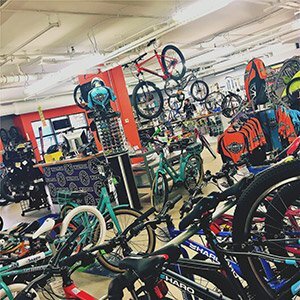 Michael’s has bikes and gear for every rider, from novice to experienced, casual to competitive, with something for everyone in your family! As they shared, “People come in because we’re local. They come back because their experience exceeded their expectations.” Come on down this Saturday as they’re celebrating Global Fat Tire Day with two rides, one at 8:00 in the morning with eggs, sausage, and juice afterward, or another ride at 1:30 in the afternoon followed by samples from Chaska’s soon to open Schram Haus Brewery. It’s time for Hometown Holiday! Join us this Saturday! Chaska City Square Park will come alive as we celebrate Hometown Holiday together from 1:00-5:00 in the afternoon. There will be horse drawn carriage rides around historic downtown Chaska, and Santa, Mrs. Claus, and the reindeer will be joining us for the perfect holiday photo. 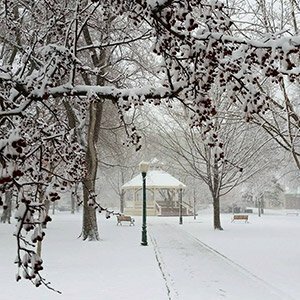 There will be a Creation Station to make some winter art, plenty of holiday music and caroling, a live Nativity, bonfires, and the highlight of the day, our tree lighting at 5:00! Plus our downtown shops, businesses, and restaurants will be open with special deals and bargains for shopping, eating and drinking. Kick off your holiday with us this weekend in downtown Chaska, and we’ll help make your season bright this year! Happy Holidays to all from Downtown Chaska!